released, the thread must be awakened. This is done by making a system call to wake up the LWP. pretty much the same for Win32. Only the names are different. An SCS thread is nothing more than a typical thread that is permanently bound to a specific LWP. 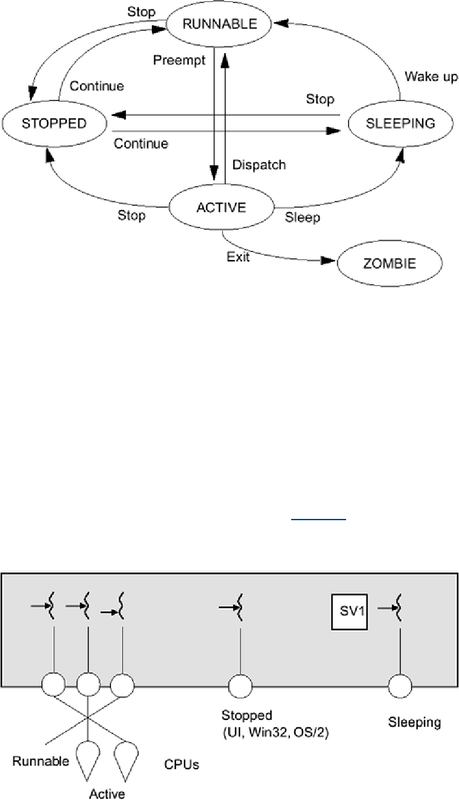 sleeping on a synchronization variable, suspended, or active (Figure 5-4). Win32 has only SCS scheduling, and it is handled completely by the normal kernel scheduler.